When another site links to you, search engines view it as an endorsement. The weight given to the approval is highly dependent on the site giving it. If the government, a university, or a leading brand links to you, it will give your rankings a nice boost. If a known spam site links to you, it may have an extremely adverse effect. Gone are the days where you could just throw up 10 guest posts, 20 blog comments, and 35 forum posts and get a boost in your rankings. It’s now more important than ever to get links from high-quality sites. That makes it harder, but not impossible, to build your white hat backlink profile. Obviously, I’d suggest you hire a freelance SEO consultant but if you want to do it yourself, here are some ideas. But if you operate a blog or content-based site, you’ll have been contacted many times by people asking for a link. It doesn’t often work, does it? That’s because there’s nothing in it for you unless you are advertising for contributors. So instead, don’t ask them for a link, negotiate one that involves a value exchange. Point them to a resource on your site that will be useful to the site owner’s audience (or create one). You should find that they use it and mention it on their blog with a link to it. If nothing else, you might start building a relationship with them. Another great way of getting links is to interview other website owners. Not only will you get a juicy, original piece of content, but the person you interviewed will also likely link to you from their site since it will be of interest to their readers. To get people to agree to the interview, you can tout your reach, including the number of subscribers and social media followers you have. But you can also stroke the ego and tug at the heart strings, saying that your readers would love to hear more about them. Another method is to ask your readers who you should interview. To say that your readers have specifically requested them for an interview is particularly persuasive. Many websites produce resource lists or awards regularly. “The top 10 SEO blogs,” “The five best tax calculators,” and “The cute kitten awards” are common types of posts. Find some high-quality, known brands that run sites lists like this, and let them know about your site. Don’t say “I want to be on your next list,” but rather that you enjoyed their post and wanted to let them know about your work because you fit into that category. That’s all. Another trick is to give out awards yourself. Create a graphic with your logo and a gold ribbon on it, and let the respective sites know. They might use the badge on their site, or mention you on their blog. Guest posting does still work, but you must approach it differently than in the past. The quality of the guest post you submit should be excellent, and the site should be a reputable one. Your post should add a lot of value to their site; it should be something that you can write better than they can, either because you’re an authority in a particular area or because you have done some extensive research and have a unique perspective on the topic. The reverse should hold true for guest posts that you accept onto your site. They should be from people you know (or know of). Don’t accept unsolicited guest posts from unknown people, under any circumstances. Whenever Google makes a change to their policies, a lot of sites get penalized. But the search engine is only trying to make quality sites appear on the front page of the results. If you can get an average piece of content on the front page through guest posting, it might displace an excellent piece. That would be bad news for Google, so everything they do, search-wise, rests on this principle of quality. 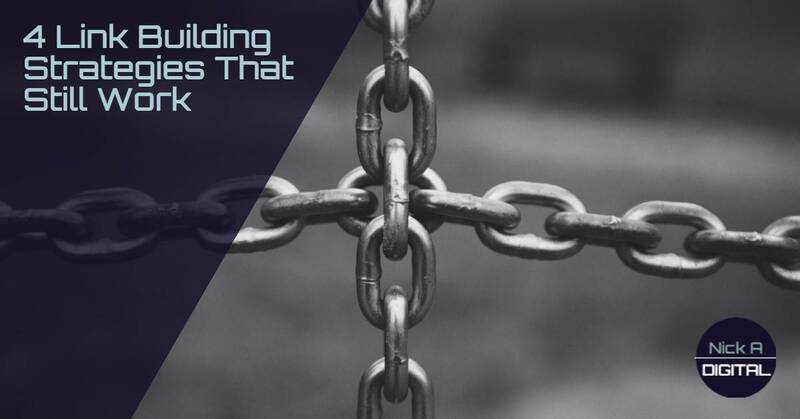 Keep that in mind while building links, and consider the sites you get links from and those to which you link. If you do that, and follow the tips above you’re on your way to a solid long-term SEO strategy.